Season has been Postponed. We will try again for the 2018-2019 Season. The MA Hockey League is proud to announce the 'Jr. 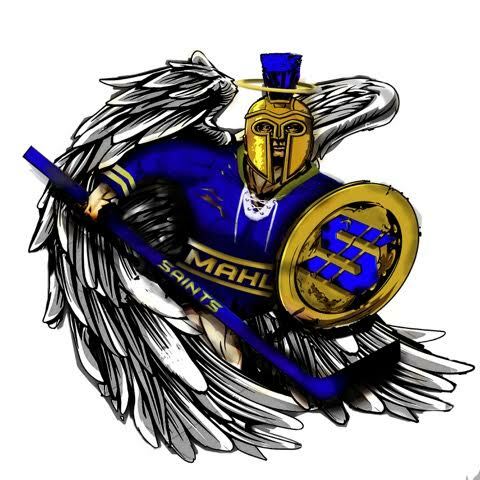 MAHL Saints' Boston area team to play in the New England No Check Hockey League. 2017-2018 will be the first season of the New England No Check Hockey League and we are pleased to offer a U16 Hockey Team to compete. Players who have suffered concussions and want to continue playing but need a less physical option. Players who want to play competitive travel hockey but do not want checking. Players who feel their size is not adequate for checking hockey. "Great opportunity for young players who have suffered head injuries"
Location: Veterans Memorial Rink in Somerville. -First hour skills and second hour scrimmage. Players register HERE for Tryouts! Goalies resgister HERE for Tryouts! -$2,495.00 per player, Jerseys and socks included!! Note: Goalies play for free but must be reliable and able to make almost all practices and games. Additional NENCHL info can be found at the following links! Watch NENCHL 2 minute NESN Video! Read about NENCHL in USA Hockey Magazine! vironment and aim to provide an exciting forum for skill development and teamwork within a traditional travel hockey league. Tournaments and international travel opportunities are optional benefits. We are open to all players interested in a no checking environment and aim to provide an exciting forum for skill development and teamwork within a traditional travel hockey league. Tournaments and international travel opportunities are optional benefits.